Cairo University. 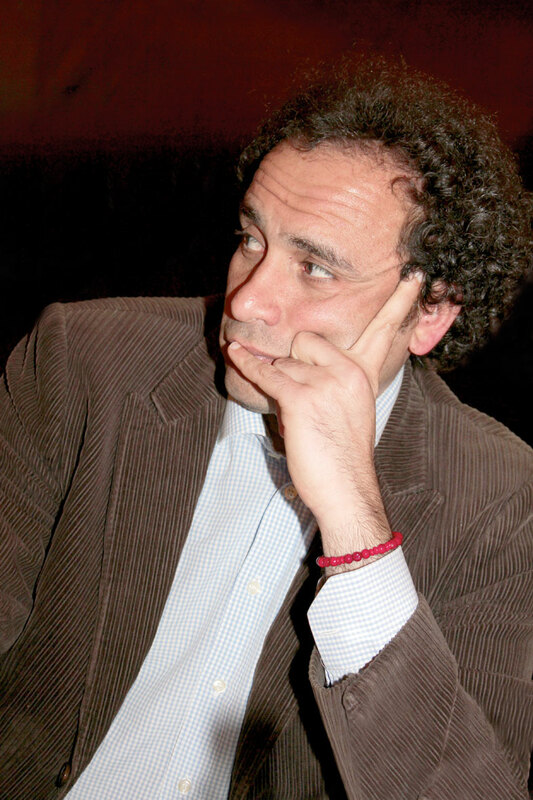 He co-authored Between Religion and Politics (2010) and authored The Arab Future –Contemporary Debates on Democracy, Political Islam and Resistance (2010). Most recently, Hamzawy was amember of the Council of Wisemen and has beenmeeting with both the government and youth groups. We are going through a momentous time; a new moment where we feel what happened in the previous weeks was a dream, something we never thought would happen, let alone take part in. The demonstrations were very democratic and peaceful and calling it the People’s Revolution is very accurate. It was a meeting of all walks of life, rich, poor, educated and everything in between. Most importantly, Egypt cried out for change. I don’t want us to dwell any longer over what happened, or on those who think we have not yet accomplished much. While the people’s revolution has succeeded in bringing the regime down, the regime still exists – not as a conspiracy or in terms of people lurking in the shadow planning things – but because of the way the country and the society are still being led. I wouldn’t feel comfortable saying Egypt has become a real democratic society as long as we remain a military state. A lot has changed, but we are still within the concepts and confines of individual rule – the ruling foundation before the resignation of former President Hosni Mubarak. We cannot define this revolution until we have seen how effectively we combat the huge challenges ahead; and these challenges are related heavily to our organisation as a people. A citizen who demonstrated and protested is an effective one. So the challenge now is finding the right organisation, forms, parties and civil society organisations. We have to search for the organisations capable of guaranteeing the best for the citizens who demonstrated and protested. This is at the core of democracy. The million-man marches that happened in Egypt were something we’d never witnessed before and the fact that the people were asking for change and democracy is unprecedented. We need to work through the transition phase Egypt is in. However, this transition phase is not only about the next six months, it will continue for a period of time – even throughout the term of the next parliament and president. So we are talking about four to five years of transition to actually build the basis of this country again, to start this change. It is a challenge for all of us to participate in building this country. The question of whether we need to totally demolish the old organisations and start from scratch building new rules and associations is still arguable. Another challenge we are facing is our teamwork as a society which is obviously going to form the basis for this country. We need to interact more cohesively again. Egyptians have to realise the importance of change and listening to each other better. Right now we are talking feverishly about the poor and needy from a superior point of view. We have to move on from this stage where some people feel or act superior over the others, and move on towards more civilised behaviour. So the most important thing is to develop this trait of listening to others because it is so important, and it is required to push us towards becoming a more civilised community.